I specialize in commercial foodservice design and consulting. Jim’s experience in the commercial store design industry began over twenty-five years ago with the design department of the Zahn Drug company (Melrose Park, IL) working on Convenience Store and Pharmacy design and build projects. In 1989, Jim began work with Illinois Range Company (Mt. Prospect, IL) as a design associate in their McDonald’s Corporation new and remodeled store division. His experience there included store layout, final connection plans and custom stainless steel design. In 1998, Jim became employed by Professional Equipment Services (Northlake, IL), a design and equipment company owned by Jim Richards, Sr. While there he began development on “TheCstoreEstore.com”, an online c-store equipment retailer. In 2002, Jim opened two restaurants in Sarasota, Florida. Bagelwich Deli was a forty seat breakfast and lunch QSR. Andrew’s on Longwood Run was a fifty seat full service restaurant. He operated the two locations until the business were sold. 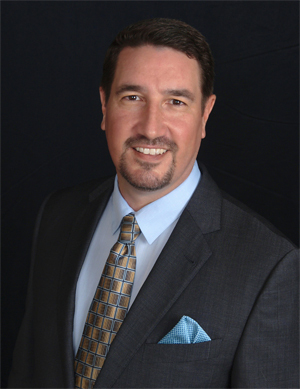 From 2005 through 2011, Jim served as Senior Design Associate for Fishman and Associates (Venice, FL), serving as Vice President of operations and design from 2010 through 2011. While there he designed and managed many projects for Manatee and Sarasota County Schools including two tech school culinary teaching kitchen projects, oversaw designs for all First Watch Restaurants opened during that time and notably, he consulted on the renovation of Ed Smith Stadium, the Baltimore Orioles Spring Training Stadium, in Sarasota, Florida. In 2013, Jim assumed the role of President of Professional Equipment Services, the company Jim Sr founded in 1990, and changed the it’s name to PES Design Group. Perkins, Caroline. “Kitchen Design Is and Art and a Science.” Food Service Equipment & Supplies 01 May 2017: 75+. Perkins, Caroline. “Maximizing the Minimum.” Food Service Equipment & Supplies 02 January 2018: 34+.